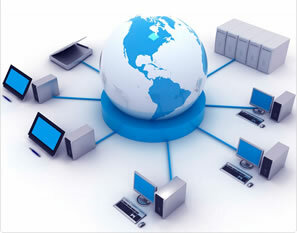 Computer networks are simply groups of computers that are linked together. They may be linked together by cables or through wireless connections. A network must perform, delivering data and files instantly. It must be available at all times and its data must be secure. The data must be backed up regularly and should be easy to restore if a problem occurs. At Data Right Services, we setup, install and configure servers, workstations, desktops, laptops, tablets, and smartphones as part of our network installation services. We also configure printing, multi-function business copiers and scanners, remote access and vpn setup, remote file storage and data file sharing along with file backup and restoration solutions. At Data Right Services we understand that anytime a network goes down, a business is profoundly. We are committed to helping our customers build secure, reliable networks that perform seamlessly. We take a proactive approach to monitoring and maintaining our network services, providing a timely response when troubleshooting and repairs are needed.Our network setup, installation, and troubleshooting services are ideal for companies with networks of all sizes. Contact Data Right Services today to find out more about how we can help you with our our network design, setup, and support services.